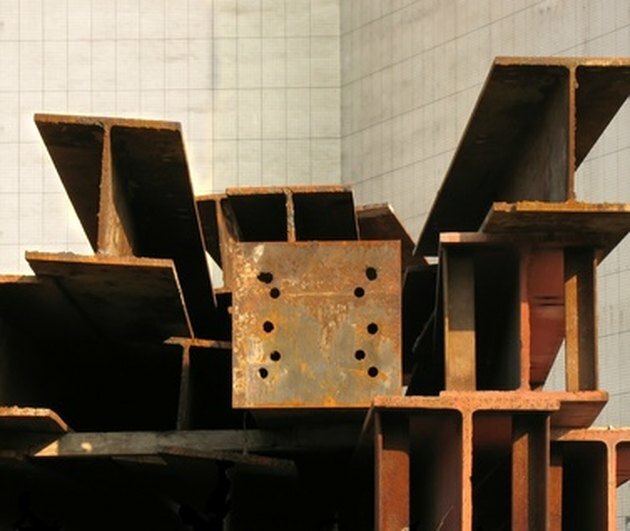 Structural Steel is the backbone of most commercial buildings. The MEPS website gives monthly rates for several types of structural steel in all of the world's major markets. All of these rates are for new structural steel and are given in U.S. dollars. The MEPS site also forecasts future prices up to one year in advance. To find out how much money you can make by selling scrap steel per pound, you have to do some calculations. Go to the Commodity Prices section of SteelontheNet.com and get the current price per ton. One ton equals 2,000 pounds. So X/2000 = tons, when X = pounds you have. Example: You have 500 pounds of steel, so 500/2000 = .25. You have .25 tons of steel at whatever the current exchange rate is.